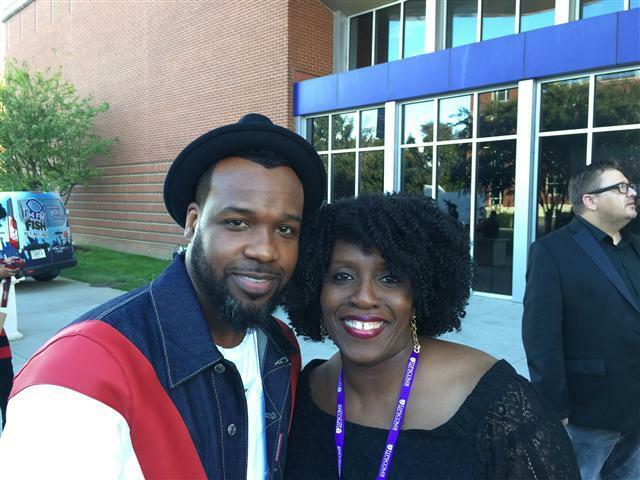 US based Nigerian Gospel artiste Emem Washington spent some time with international Gospel stars at the venue of the 48th Dove Awards ceremony which held at David Lipscomb University’s Allen Arena in Nashville and was hosted by Kari Jobe and Tasha Cobbs Leonard. Emem Washington had released a single “In the Name of Jesus”, off her debut album, “Rebirth” for free download last week and plans to saturate the market with more of her Urban Gospel vibes. In between the releases, she was granted access to the backstage, press room, red carpet and floor seats at the venue of the 48th Dove Awards ceremony where she socialized with Gospel artistes including Travis Greene, Erica Campbell, Jekalyn Carr, Vashawn Mitchell, Mandisa and more. “In Your Presence” is the new single from the Gospel music sensation. The second single to be released off her album which seats in the R&B/Hip-Hop genre defines Emem’s style more appropriately. Emem Washington is a singer, author, attorney and speaker who draws her inspiration from her own story, reminding her audience that, no matter what their current situation looks like, their story is not over. She holds a B.S in Biology, a Juris Doctorate in Law, an LL.M in Intellectual Property & Information Law; and uses her multi-faceted passion to serve God and humanity. She has a knack for coaching the overlooked & undervalued.